HbA1C test or hemoglobin A1C test is a routine test for type 1 and type 2 diabetic patients. The test is also known as glycohemoglobin and glycated hemoglobin test. It checks blood sugar level over last 2-3 months. 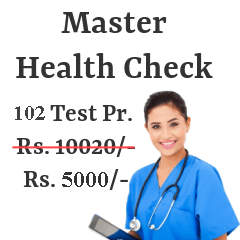 Most of the diabetes centers or diagnostic centers in Pune do offer the facility of HbA1c test. We have compiled a list of such medical centers where this facility is available. 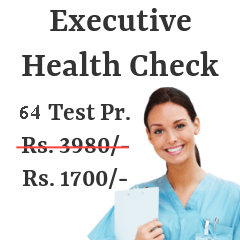 Price estimation and address of the hospital have also been mentioned for your comfort and convenience. 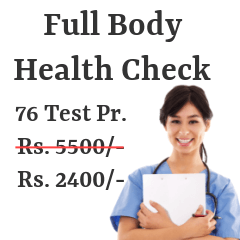 Go through the list to select appropriate diagnostic center which matches your budget and your preference location. Following are the Diabetes Test (HbA1c) centers from most reputed pathology / radiology labs in Pune. Home Sample Pickup (Free) All Over Pune. 4 Def Flat 6, Kamdhenu Estate, Opp. Bhaji Market, Pune Solapur Rd. Red Blood Cells (RBC's) contain a protein called as hemoglobin which is responsible for imparting blood its characteristic red color. Primary function of RBC's is to supply oxygen to each and every cell present in the body. 'Glycosylated Haemoglobin' molecule is formed when glucose molecules get attached to hemoglobin. HbA1C molecules are in direct proportion with blood sugar count. Since, RBC's average life span is only three months, HbA1c test has to be repeated after period of 3-4 months. The test is also known as glycohemoglobin and glycated hemoglobin test. HbA1C test is a simple blood test. Fasting is not required for the test. The test entails withdrawal of blood sample from vein located in arm. Before the needle is inserted into the vein, antiseptic is applied to the site of puncture. The needle is kept inserted till required quantity of blood is collected. You will feel pinching sensation when needle is being inserted into the vein. To stop oozing of blood, cotton swab will be provided post the procedure. The blood sample is then sent to laboratory for analysis. Limit intake of sugar. Too much sugar in diet can drastically increase blood glucose level. Avoid aerated drinks and canned vegetables and fruit juices as they are overloaded with white sugar and preservatives. Breathing exercises help curb diabetes. It is important that one follows the guidelines and medications suggested by doctor to keep diabetes in control.